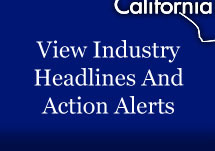 This alert comes to us from our friends at Aprea & Micheli, Inc.: Despite valiant efforts by the California business community, of which the Commercial Real Estate Industry was an active participant, AB 1897 by Assemblyman Roger Hernández (D-West Covina) was signed into law by Governor Jerry Brown on September 28. The bill creates new liability for businesses that engage in labor contracting. AB 1897 adds Section 2810.3 to the California Labor Code. AB 1897 requires a client employer to share with a labor contractor all civil legal responsibility and civil liability for all workers supplied by that labor contractor for the payment of wages and the failure to secure valid workers’ compensation coverage. The bill also prohibits a client employer from shifting to the labor contractor any legal duties or liabilities under workplace safety provisions with respect to workers provided by the labor contractor. Click here to read more about the bill and consult with your company HR counsel to assure that you are prepared to be in compliance with the law.